Accra, Jan. 27, GNA - Mr Daniel Botwe, Minister-Designate of Information, on Thursday said he envisions a well-informed Ghanaian population, relaxed and confident to support and protect their rights and freedoms. 'When the public is well-informed, we shall have an enlightened public who will not be agitated by romantic adventurers." Mr Botwe, who is the General Secretary of the New Patriotic Party (NPP), appeared before the Parliamentary Appointments Committee in Accra. He said tension was usual at the lowest ebb when the people were well- informed. The nominee said he would seek to improve on the equipment and human resource profile of the departments under the Ministry to carry out constant country fora and information dissemination activities. He said Ghana's Embassies and High Commissions in foreign lands would also be roped in the information dissemination strategy to attract investment and position goodies for the country. 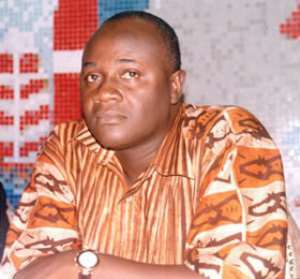 On the conditions of the Ghana Institute of Journalism (GIJ) and the National Film and Television Training Institute (NAFTI), he said GIJ was being transferred to the Ministry of Education but while it remained under the Ministry of Information, he would pursue their expansion and upgrading programmes. "NAFTI, I understand, is renting a studio and other structures, which I think government should be talked into acquiring it for the institute." He defended the relevance of the Ministry of Information as a ministry, which seeks the concerns of the population for government and vice-versa, on political direction. He said Ghana Radio and Ghana Television (GTV) should remain a state media (public service broadcaster) while the constitutional arrangements for their operation were adhered to. Reacting to a member's complaint that his constituents did not access the GTV waves, he said he would add up to the plans of achieving total coverage of the whole nation by the state broadcaster. Mr Joseph Labik, the Member for Bunkurugu Yooyo, said:" During an international football match, you hook on to the Togo TV because you can not access GTV and reduce your Television sound volume and then switch on your radio for the English commentary to match." On his political life, he said he had been a student leader and had resisted the Rawlings' military regime, which led him into exile for a year. He said he feared the regime was about to impose communism on the country and that could have stifled the pursuit of human rights and freedoms. The nominee said he had a devout catechist for a father who believed in community service and the pursuit of the truth and justice. "I found myself questioning some actions and issues when I was growing up. We went through the taskforce activities in the 31st December revolutionary days and I was elected the General Secretary of National Union of Students (NUGS) and then one thing led to another." He described the expulsion of Mr Kakra Essamuah from the NPP as one of the toughest decisions he had to make in politics. Mr Essamuah had openly campaigned for Prof Atta Mills, the National Democratic Congress (NDC) flag bearer, which invoked the expulsion clause of the NPP's Constitution.